It was déjà vu when HK$1,000 banknotes fluttered down from a flat onto a Tai Po street on Friday night. 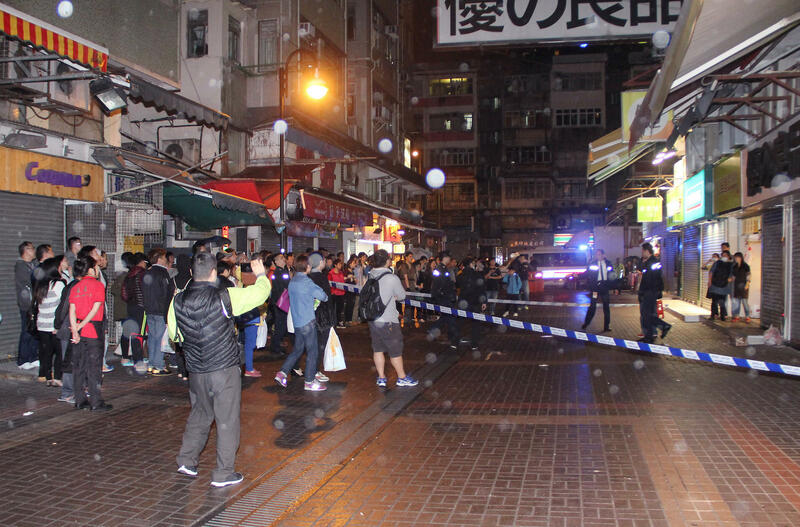 But this time, no one was seen picking up the money – two months after onlookers scrambled to pocket some of the HK$52.5 million worth of banknotes which fell out of the back of a security van on Gloucester Road, Wan Chai, only to be arrested and prosecuted. A video posted online showed that people only stood beside the banknotes, taking photographs. The notes were seen falling in two to three batches, Apple Daily reported. “Don’t pick ’em up!” one witness was heard shouting as a reminder. One onlooker later placed the money in a paper box, ready for the police. Others picked up notes, scrubbing them as if to check they were real, then put them back on the ground. Police confirmed a report of “objects falling from a height” at about 9.45pm, near the Fuk Cheong Building. A spokesman later said some 49 HK$1,000 banknotes had fallen from the podium to the ground. A man, believed to be mentally ill, who allegedly threw the money out of a flat in the building, was taken away by police. The cash grab frenzy in Wan Chai on Christmas Eve happened after a van owned by G4S spilled large bundles of banknotes over the busy road. Last month, a magistrate handed down a 5-month jail term to Lui Luen-yung, a 43-year-old recycling trader who stole HK$161,500. Magistrate Li Kwok-wai said such people “got crazy and threw away their [good sense] in flagrant disregard of the law”, describing the incident which was beamed around the world as “the most stunning scene I have ever seen”.